Beer and cider … sometimes we act like the Sharks and the Jets. But why? Sure, some of us can’t have gluten, and that makes beer off-limits. But, that doesn’t mean we need to be haters to one another, or even to envision a divide between us. We’re all for friendly rivalries, but the beer vs. cider thing has never quite made sense to us. That’s why we love it when cider makers and breweries team up to make beverage magic! These types of collaborations show us how much is possible when beer and cider can put their differences aside and let flavor and style light the way. 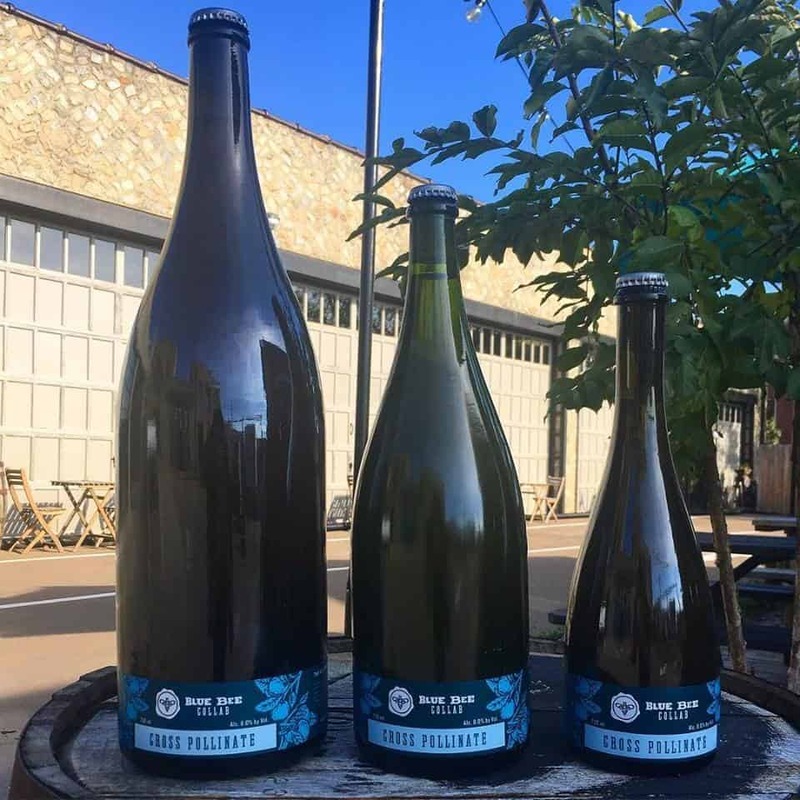 One collaboration we recently found out about is Cross Pollinate from Blue Beer Cider and The Veil Brewing Co., two of Richmond, Virginia’s finest artisan beverage producers. 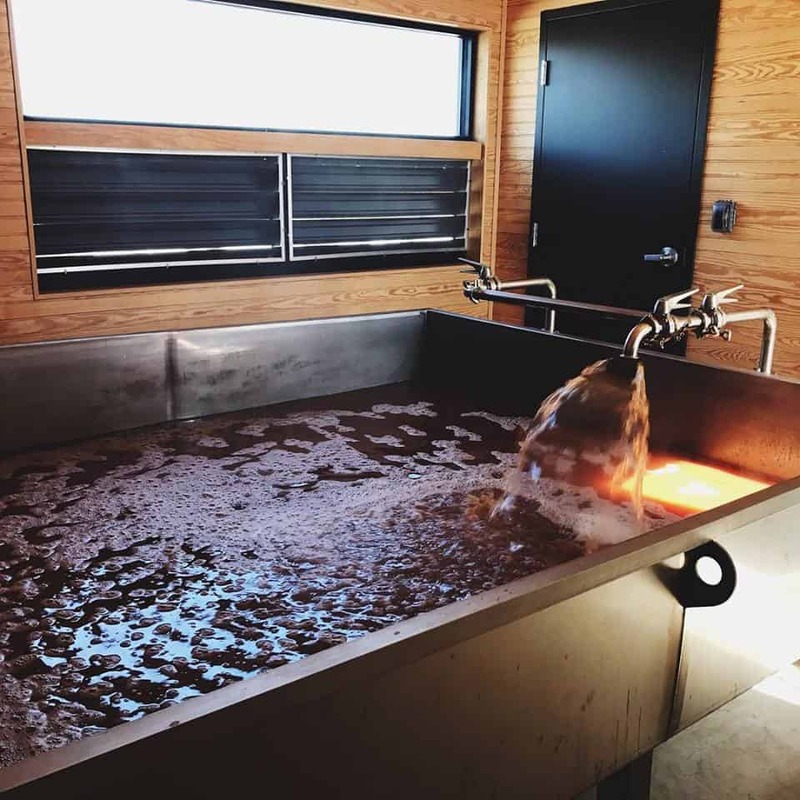 The juice for Cross Pollinate was boiled with hops at The Veil, then pumped into its coolship (a broad, flat vessel in which wort is usually cooled in the brewing process) to gather local microflora for a spontaneous fermentation — the very same microflora that are in The Veil’s spontaneously fermented beers. Collaboration is nothing new to Blue Bee. The neighborhood where they’re located is also home to 11 other beverage producers, including six breweries. The Veil is just two blocks away from the cidery, and Blue Bee’s admiration for what it’s doing with its brewing program has led to the repeat partnership. Because neither of the parties involved had experience with spontaneously fermented ciders, she says there was some risk in not knowing how the apple juice would take to the process. Indeed, Cross Pollinate was 19 months in the making (the process began in March of 2017). 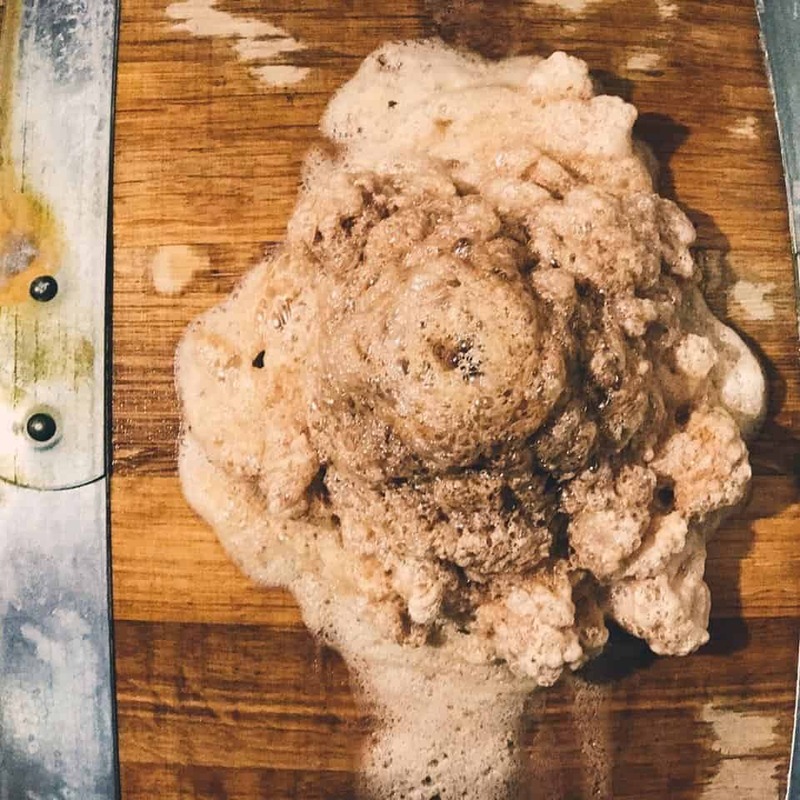 First, a blend of Gold Rush and Winesap juice was boiled in a kettle at The Veil for one hour, then aged Willamette hops were added and the juice was left open to the elements overnight in The Veil’s rooftop coolship to allow for spontaneous fermentation. The next day, the juice was transferred to eight Napa red wine barrels, where it fermented and aged until June 2018. After packaging the cider, it was allowed to bottle-condition for three months to carbonate. The resulting cider is bone dry and cloudy, balanced with an earthy aroma, gentle hoppiness, and a stone fruit finish. Look for this lovely 8% ABV collaboration cider at Blue Bee’s taproom or shop online. Find Blue Bee Cider at 320 Summit Ave. in Richmond, VA, phone: (804) 231-0280.